In most states that have licensing for home inspectors, a new home inspector is required to take the National Home Inspector Exam (or a state home inspection exam) before the state will issue their home inspection license. Our National Home Inspector Exam Practice Test mobile app will help prepare you for the National Home Inspector Exam or your state exam. Even in the states that have their own home inspection test, it is always based on the National Home Inspector Exam. Our home inspection exam prep mobile app has over 700 multiple-choice practice questions and will allow you to test yourself on your home inspection knowledge before spending $225* on the National Home Inspectors Exam. You may save yourself that much or more because unfortunately if you do not pass the National Home Inspectors Exam they will charge you the $225* again – not to mention the mandatory wait time of 3 to 30 days (depending on state) before you can retake it. The National Home Inspector Exam Practice Test mobile app is available for iPhone and iPad users, and for android users. The practice test can be taken as many times as you’d like. 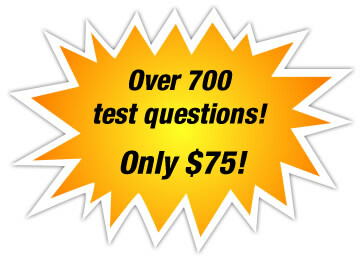 You will not only find out real time if you choose the correct answer or not, but you will also have access to a summary page at the end which shows all questions, answers, and correct answers for any question you miss. *Note: There are a few states where the National Home Inspectors Exam costs less than $225. For example Illinois and Vermont. Works on both smart phones and tablets! Works great on both iOS and Android. No need for your laptop or personal computer. Buy the app and get our MS Word based report free!